When you apply for Social Security Disability benefits, you should know that you are beginning a long process and my not see any results for as long at 635 days. Social Security courts are logged with thousands of cases. Poor economic times and aging baby boomers are putting a huge strain on the the Social Security Administration’s ability to quickly make it through its immense backlog. However, the administration is making strides to improve the speed at which it makes decision and is hoping to clear out its backlog of cases that are older than 310 days. Even if the SSA wants cases to move more quickly, it does not mean your benefits are more likely to be approved. Social Security disability benefit approval rates vary wildly across individual judges. Some judges approve as high at 99 percent of Social Security disability benefit claims while others only approve a mere 5 percent of the claims they hear. Oftentimes, disability benefits are denied because a claimant wasn’t completely prepared to prove their claim to the judge. If you are looking to apply for long-term disability benefits, you will want to work with someone who can help you gather and present the evidence you need to have your claim approved the first time. 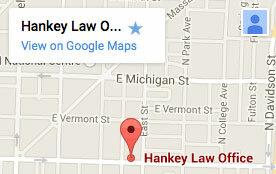 Contact the Social Security disability lawyers of the Hankey Law Office, to learn more.